Employee advocacy can be measured, and its success should be tracked just like any other business activity, like marketing or sales. In this article, we’ll help you find out how you can measure the health and success of your own advocacy program. We’ve said before that employee advocacy can bridge departments and compliment the activities of those departments. Marketers and salespeople can both derive massive value from building up their own personal brands by sharing company content. In fact everybody can and more to the point, our own research has shown that 70% of employees believe that supporting their employer’s social media efforts can make a valuable contribution to a company’s commercial success. Despite its huge value in feeding the metrics and KPIs for these different departments, that doesn’t mean that employee advocacy doesn’t need its own health to be monitored. Fortunately, there are some simple steps you can follow to track the success of your own program, just like anything worth investing valuable time and money in. If the idea of advocacy is new to you, then click the link below to find out what it is and how it works. One you’re ready, we can look at how your program’s success can be measured. New to advocacy? Check out this article that explains all. It is important in the beginning to set goals and KPIs for your advocacy program so that you can define what success will look like. Then you’ll be better placed to choose the right metrics that will tell the story of its health. For marketers, engagement with content is mostly king for your business. For online content, it may be clicks or visits to your blog. Or it may be the amount of times a specific voucher code is used. Whatever the goals are for your existing marketing campaigns, these can for the most part, also be used to monitor your advocacy program too. 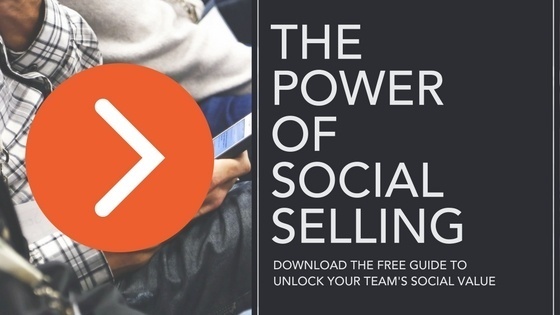 The data is already out there for salespeople, social sellers sell better. There is a direct correlation between closed deals and social media usage, 54% have tracked their social media usage back to closed deals (Social Media Sales Quota Survey). Social sellers understand that content can be a vital tool to help them build more connections and deliver a great customer experience online. Social recruitment is also on the rise and this might be an area where your company wants to improve. Perhaps you want to improve your employee retention or hire more highly skilled people. According to SHRM, “LinkedIn is the most effective site for social recruitment with 73% of all social hires”. Be aware that your goals and KPIs will change as your program grows. In the very beginning, you’ll probably want to closely monitor how many employees are actually enrolling into your program. An example of this goal might be, “To enrol 50% of our employees in the first 6 months”. You can be more specific and even stagger your goals with an example like, “Top enrol 70% of our marketing teams in months 1-3, then 70% of our sales employees in months 4-6”. Don’t skip these important steps as they will be the foundation of your advocacy program’s health. Partnering with the right advocacy service provider should help you through this process and offer important insights from similar companies too. If you’ve been tasked with setting up your company’s advocacy program, you’ll probably need to report back to a manager, director or CEO on its success. From our own experience, there’s nothing that they like better than numbers! Agree on a set time each month that you’ll share this report with the necessary people who need it. We recommend once a month or once every four weeks but producing a weekly digest can also be affective. This really depends on how much time you can commit to this task but allocating set time periods will allow you to benchmark one report period against another. Now you know when you will report the numbers that tell the story of your program’s success, you need to choose which numbers best represent it. Don’t get me wrong, we’re not talking about showcasing the good ones and hiding the less flattering ones! Refer to your goals KPIs to choose the correct metrics. As previously mentioned, these can generally feed into your existing metrics for each department. So, for example, clicks on content or social media posts is a great signifier for marketers that their content and distribution methods are working. For sales, it could be leads converted through social media. We generally like to help our clients by tracking four top-level metrics to measure the health/success of their advocacy programs; active advocates, shares, clicks and cost per click. We record these figures every day for our clients and continually benchmark against previous records and other companies. But it’s obviously our job to do that! The next question is, how are you going to track these figures and report them to the necessary stakeholders? There’s no denying that partnering up with a dedicated advocacy software & service provider is going to help you. Even if advocacy is a new ongoing project for your company, that doesn’t mean it needs to mean loads of extra work too. It also makes sense to have all of this data coming from and being stored in one place too, as it may become tiresome chasing different departments for different numbers. When choosing an advocacy software & service provider, look for a partner that can deliver on these values. You should be able to access live and historical data easily and efficiently. The more of your precious time that it can save, the more valuable it will ultimately provide. If you’ve created your goals & KPIs, and have the data you need to hand, then your employee advocacy program is in great shape. Remember, that just like any other business activity, things will fluctuate, and strategies will sometimes need to be changed. But that’s the beauty of measuring success! With this new data to hand, you’ll be able to make better decisions on how to refine not just your advocacy program’s strategy but also those of your other departments too. This is one of the fundamental advantages of creating and growing your own advocacy program. Your content marketing team will especially be grateful. Also, advocacy can be a new concept to a lot of people, so it can take a while to bed-in with your employees. With that said, you shouldn’t be too hard on yourself if you don’t see an immediate impact. Again, the right advocacy partner will be able to guide you all the way through planning your program and nurturing its growth.